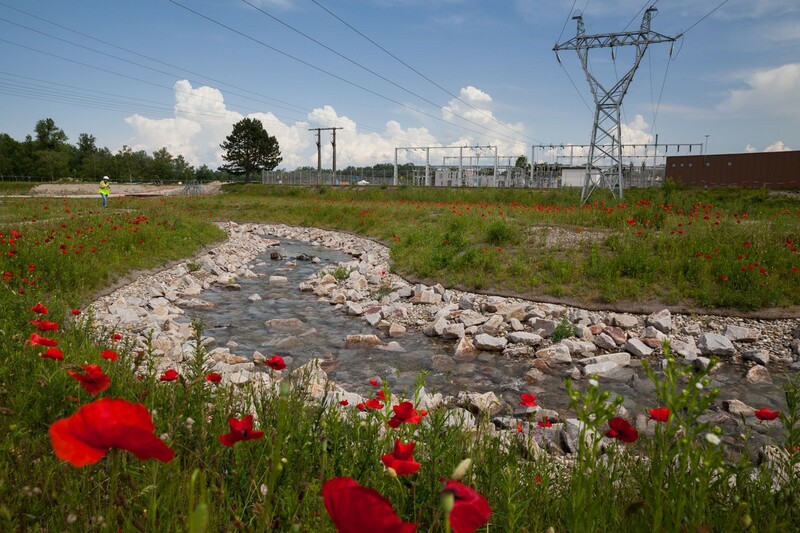 The EDF Gerstheim power plant is now equipped with a fish pass based on the innovate design of the Strasbourg power plant, which was commissioned in 206. 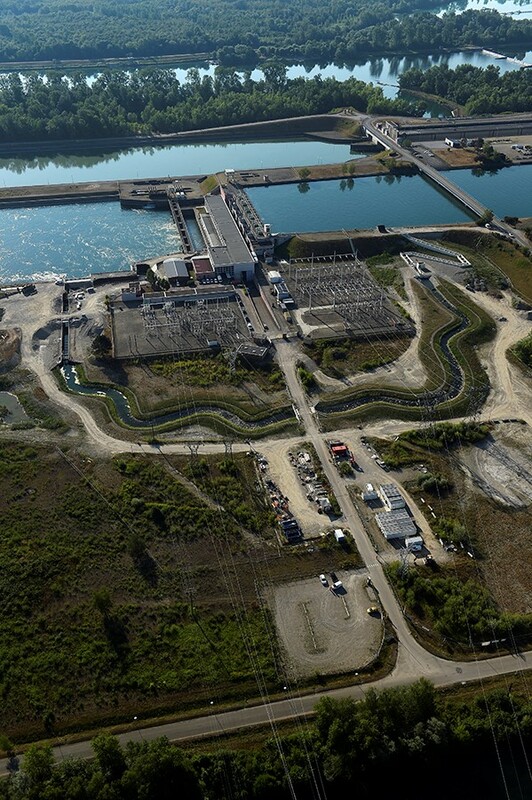 It will allow fish, and in particular salmon, to return to Switzerland, in accordance with the commitments made by EDF as part of the European Rhine 2020 programme. The development in a few figures: 400 metres long and 5,5 metres wide (natural pass) - 3400 m3 of concreteand 270 tonnes of reinforcement - 35 000 m3 of earthworks - 8 000 shrubs and plants along the pass - 15 million euros (overall budget including studies) financed by EDF and the Rhine-Meuse Water Agency.